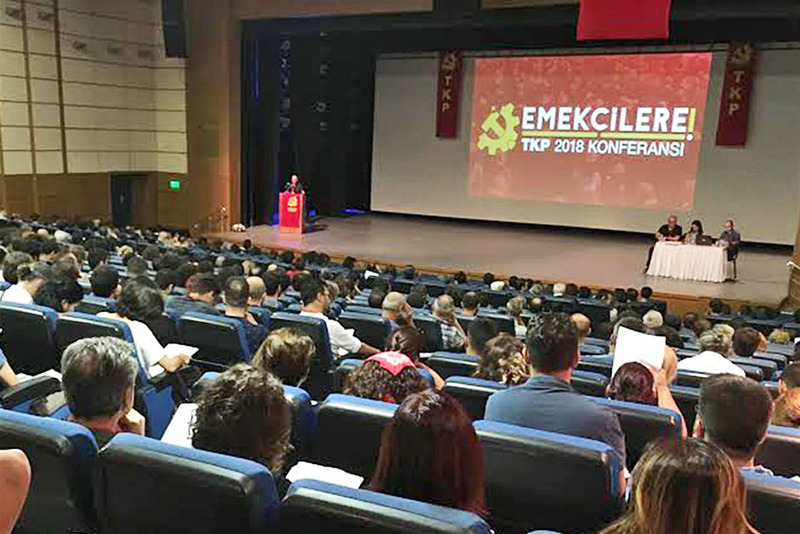 The CC of the TKP issued a statement announcing the completion of its 2018 Conference under the theme “To the Workers”. Following several weeks of organisational work, the Conference convened on 15th of September in Izmir, finalizing the restructuring of the Party according to its revolutionary missions. The delegation of the Conference saluted the concurrent strike of the construction workers of İstanbul's new airport that had just broke out with the participation of TKP members. In its statement on the Conference, the CC of the TKP thanked all the fraternal parties for their messages of solidarity and support, published on the website of TKP. The TKP will soon declare a political roadmap for the upcoming period, as well as the outcome of the Conference. During the Conference, it was announced that some delegates could not attend the Conference because of their participation in the strike that broke out the previous day on the construction site of Istanbul's new airport. The infamous '3rd airport' of Istanbul, that will open on 29th October (on the foundation anniversary of the Republic of Turkey) is a show off of the Erdogan government where 10s of thousands of workers work in very harsh conditions experiencing 'accidents' that are frequently fatal and concealed from the public. The discontent of workers turned into a strike last week and a massive demonstration took place on the site. The contractor firm called for the intervention of military units and hundreds of workers were arrested. The TKP members at the site sent a message to the Conference underlining the importance of the appeal 'To the Workers!' in order to strengthen the Party within the working class struggle. The Conference delegations issued a statement saluting the workers on strike and said "The workers, who say 'We are not slaves', shall win. The exploiters shall lose. This social order shall change." The statement expressed that the workers from the 3rd airport have dealt a big blow to the exploiters who think that they can eradicate the Turkish working class' traditional resistance and struggle against exploitation. The Conference delegation called on the working people of Turkey to support the resistance, reminding that "the resisting workers at the third airport are waging such a struggle that serves as an example not only for their rights but also that of the whole workers". For details, see the link.